What Is An RFP? Do You Need One? The commercial real estate market is competitive. So competitive, in fact, that the first impression of your grounds can say much more to prospective customers, clients and visitors than you might think. From the street. In the parking lot. Near the entrance. Inside the building. From all angles, your commercial landscaping needs to attract, welcome and impress — all the time. That’s easier said than done, right? Not necessarily. Getting it right comes down to doing your due diligence. When you take the time to hire the right landscaper for your property, good things happen. Today, the role of a commercial landscaper goes far beyond just cutting the grass, putting down a little fertilizer or raking the leaves on your property. It’s time to expect more — a lot more. Look at your next landscape contractor as a business partner who has a vested interest in the growth and success of your business. And since you’re reading this, there’s a good chance you’re not happy with your current or last landscape service provider. If your commercial landscaper isn’t meeting your expectations — let alone exceeding them — maybe it’s time to build a new partnership that will yield a more attractive, more welcoming and more impressive landscape. So what’s it going to take to get you from a frustrated Point A to a satisfied Point B? It’s all about the hiring process and the expectations you set from the start. Budget realistically: Sharing an accurate budget will help you and your landscaper address the needs of your property in the best order while avoiding financial shortcomings. Request bids: Sending out a very specific request for proposal (RFP) will define your landscaping needs and improve the likelihood of an apples-to-apples landscaper comparison based on the responses you receive. Do an in-person walk-through: This is a big one. Forget any bid you receive if the landscaper in question hasn’t first met with you face to face and walked your property. When a potential landscaper comes out to see your landscape’s pain points first hand, you should expect a bid that speaks directly to your needs. Compare bids & interview: This is where it all starts to come together. In this step, you will compare the responses to your RFP (not just cost for services), identify red flags, ask follow-up questions, contact and visit the references the potential landscapers provide, and ultimately narrow down the field. Miss a step and you’re doing yourself and your property a disservice. The hiring advice that follows will prepare you and position you to hire the best Northeast Ohio landscaping company for your commercial real estate. You’ll be that educated buyer inferior landscapers dread but the premier organizations love. You know exactly how much you’re willing and able to spend, but your first inclination might be to play it close to the vest and not give an accurate response. Makes sense. After all, you don’t want to end up paying more than you should — for anything. Taking this same approach with your commercial landscaping isn’t as rewarding. In the case of hiring a new landscape contractor, both knowing and sharing your budget are of equal importance. A good landscaping company intends to make a positive impact on your property. 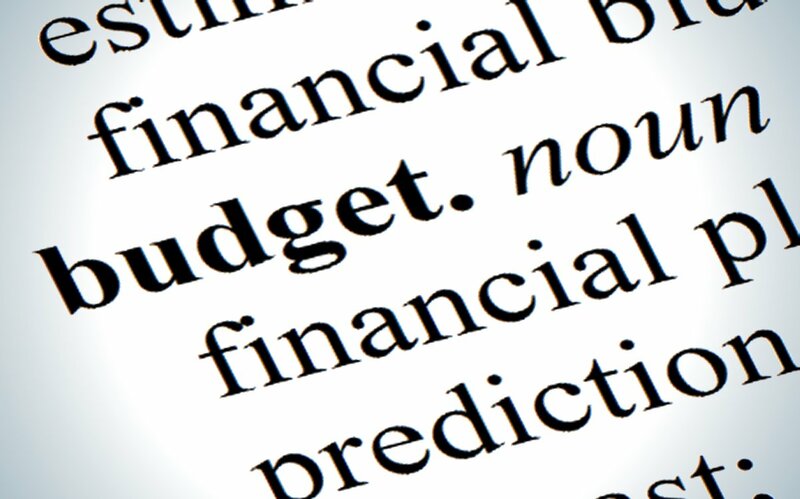 If you are open and honest about your budget, they’ll have a better understanding of what you can afford and then prioritize the needs of your property — short-term and long-term — without any financial surprises. Is Your Landscaping Budget Accurate? Is It Realistic? Are you starting a budget from scratch? Or maybe you’re looking to draw from last year’s numbers? Forgetting about inflation: From cost of goods to cost of services, it’s important not to assume the prices you paid last year for you-name-it will be the same this time around. Assuming landscaping is static: Time takes its toll on everything … your landscaping included. Landscape installations are not a set-it-and-forget-it application. They are works in progress. Necessary maintenance and upgrades are required to keep things looking great and functioning properly. Thinking short-term: It's easy to get overwhelmed by present-day demands. It’s also easy to be shortsighted with your landscape. But there’s more to your landscape than getting it ready for spring. What about seasonal plantings this fall? Or getting your site ready for winter storms? A year is a long time. Ignoring the unexpected: Familiar with Murphy’s Law? Ensure there’s wiggle room in your budget for the unforeseen, like storm damage, last-minute enhancements, irrigation problems, etc. An experienced landscaper can shine some light on things you might overlook. Putting off the inevitable: Good commercial landscapers are always on the lookout for ways to improve a property. Sometimes these suggestions — irrigation repairs, landscape regrading, dead tree removal — end up on the backburner due to budget limitations. Proper prevention can help you avoid expensive repair costs down the road. Not all landscapers are created equal. When word gets out that your property is interested in hiring a new commercial landscaper, contractors with bids in all shapes and sizes will fight for a seat at the table. Need a little help comparing Landscaper A with Landscaper G and Landscaper X? A request for proposal (RFP) may be a good place to start. An RFP can be an effective and proactive tool property managers can use to weed through the bids they receive. When done right, the landscaper most qualified to care for your property will rise to the top of the pile. So what exactly is an RFP? It’s a document you create that puts you in control of the hiring process, because you send it to the landscapers you’re interested in. An RFP gives you a platform to clearly define your landscaping needs, site specifications and expectations; it also allows you to ask for references and qualifications, and provide a response deadline, all in one document. It also creates a level playing field, because each candidate has to provide answers to the same questions and requests. This will allow you to more accurately compare the service providers you’re considering, apples to apples. Sure, you need your lawn mowed and your shrubs pruned, but that language is vague and open to interpretation. When you create an RFP, specifics are a must. Instead of saying you simply want your turf mowed, inform contractors that you expect them to use riding mowers to get on and off of your property as quickly as possible. Rather than saying you need pruning, specify that you prefer hand pruning over noisier power shears. If a landscaper can meet your specific needs and their price is right, put them on your short list. One of the most common (and biggest) mistakes businesses make when comparing bids from service providers is relying entirely on cost to make your decision. 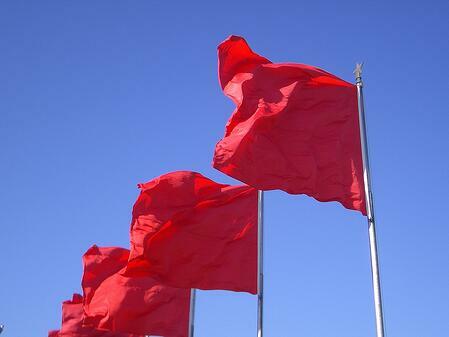 While tempting, lowball bids are often a red flag. Another essential part of the hiring process that goes in step with an RFP is the in-person property walk-through. You might also call this an onsite interview. After you send out your RFP, invite the landscapers you are vetting to your property. That way they can make first-hand connections to what you’ve noted in the RFP and ask any follow up question that might help them put together a more thorough proposal. Look for highly-experienced landscapers to use this an opportunity to offer additional service and enhancement suggestions to take under advisement that your property could benefit from. Whether you take the more structured route of an RFP is entirely up to you. That said, you may have already received bids from area landscapers and noticed that each and every proposal is different from the next. Keep in mind, a typical Ohio season is 38 weeks. Using lawn mowing as an example: Pricing mowing per season versus per cut is one way landscapers cut corners and offer a cheap bid. And that can mean a bid is only figuring in 26 visits to your property instead of pricing out 32 mowings per season. Weekly visits are essential for a property wants to keep its luster. If a contractor provides a lump-sum bid without breaking down the number of mowing visits per season, ask for that number in writing. This will help you determine what they are actually charging for the service. It’s critical the frequency of every service is listed as a line item in your bid. Line items paint a clearer picture of the services you should expect from a landscaper: what, when, where and how. Edging: Is this service performed bi-weekly or monthly? Irrigation maintenance: Does this include sprinkler head repairs, system start-up and winterization? Trash pick-up: Is this included in the base service fee or will it be attached as an additional fee? Mulch: How is mulch applied to a property? A mulch mule or blower is more efficient than manually spreading mulch. 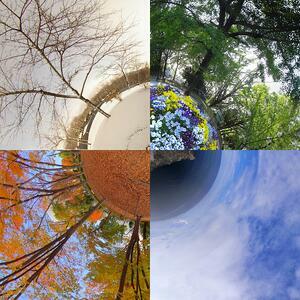 Seasonal plantings: How often will seasonal color rotations occur? Will these plantings be for the entry bed, focal point beds or all landscape beds? Pruning: Is pruning considered a basic part of weekly maintenance or priced as an additional service? Are there price differences for pruning trees and shrubs? Regret is a horrible thing — especially when a long-term contract is involved. That’s why, when it comes to hiring your next landscape contractor, it’s essential to keep a watchful eye out for the following qualities as you vet and compare commercial landscapers. When it’s your turn to start asking questions, make sure your potential landscape contractor exudes the following qualities. If you can put a checkmark next to each one, well, you’ve got yourself a contender. From parched summers to icy winters, can you rely on one landscape service provider no matter what the calendar says? Your business is open year round, and your property has a unique set of needs based on the season. It’s important to introduce consistency to your landscape each and every season, and the best way to do that is with a single-source provider. 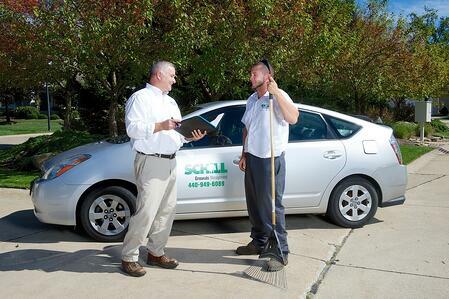 A year-round landscape service provider gets to know your property inside and out. From one season to the next, they’ll be able to transition and care for your site seamlessly — and identify any potential problems that lie ahead. Have a question about a winter storm in the forecast? Need those containers by your entrance replanted? Irrigation system spring a leak? From a convenience perspective, all you’ll ever need is one phone number to call. Does your business have sustainability initiatives that go beyond recycling printer paper and aluminum pop cans? As a business leader, it’s time to realize the decisions you make can improve the sustainability of your company and your community. Making a positive impact — socially, environmentally and financially — starts by aligning yourself with other green-minded businesses. 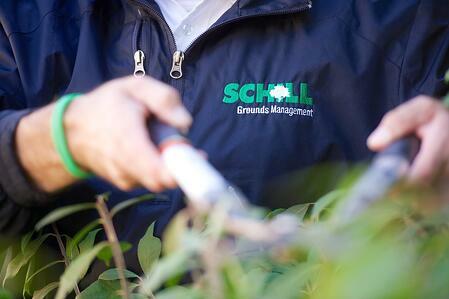 A commercial landscaper committed to sustainability should be one of them. Working with a commercial landscaper that can implement a greener, cleaner and safer landscape through cost-neutral methods will also position your property as an eco-friendly location — serving as an example for those who shop, eat, work and play on your Northeast Ohio property. Never hire an uninsured landscaper. Every landscaping company should have workers compensation insurance, general liability insurance, bonded workers and appropriate state licensing. There’s really not much more to it than that. Accidents happen. But what happens if your landscaper isn’t properly insured? You might be held responsible — and footing the bill. Landscape contractors with liability insurance will cover any property damage or injuries incurred while working on your property. Any commercial landscaper worth your time and consideration should be enforcing a zero-tolerance drug policy and also conducting background checks. Think about it: When a landscape crew member irresponsibly combines drugs, alcohol and heavy machinery on a jobsite, professionalism and safety (for everyone) are thrown out the window. In addition to requiring drug testing and a background check, every new employee at Schill Grounds Management must pass a rigorous week-long orientation course that includes hands-on landscape training and a series of online testing and assessments. How does the landscaper’s workforce look? Sharp and business-like or rusty and ragged? 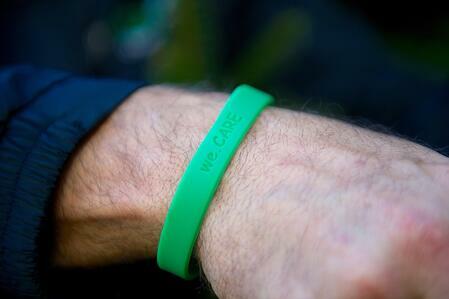 Landscapers can get dirty — this is universally understood. That said, uniforms should be reasonably neat and easily identifiable. The same can be said for a landscaper’s fleet of vehicles. Trucks and the trailers they pull should be clean, well-maintained and clearly branded. No rust buckets and oil puddles here. This might sound superficial, but in this instance, it’s okay to judge a book by its cover. Your grounds crews are an extension of your business, and will inevitably make an impression on tenants and visitors. Your landscaper’s crew and the vehicles they bring on your site are a direct reflection of your property and management company. When they look good, you look good. “Too many cooks in the kitchen” is a phrase you’ve probably heard before — and it’s something you don’t want when it comes to communicating with a landscaping company. Having a dedicated point person will ensure your feedback, requests and questions won’t end up in the wrong person’s voicemail or inbox. You’ll establish a preferred method of communication — email, text message or phone call — and always know who’s on the receiving end. A dedicated client care specialist will learn the intricacies of your property, making it easier for them to offer you effective insight and customized plans for your property. Maybe there’s a potential landscaper you’ve already reached out to and, after a few days, you’re still waiting to hear back. That’s not a good sign. If they’re not immediately returning a call or email from a prospective client, what’s going to happen when you have an issue with your landscaping? The commercial landscaping industry is constantly developing and there’s nothing more reassuring than knowing your property is in the hands of highly-trained experts — lawn care technicians, certified pesticide and fertilizer applicators, agronomists, certified snow removal professionals, etc. If a landscape contractor provides continued education and certification opportunities for its entire workforce, there’s a good chance you’re dealing with a premier organization. We at Schill make education a top priority: We hold trainings every Tuesday where crew members devote time to learn best practices in industry-specific safety and technical applications. In addition to those weekly training sessions, Schill hosts an annual, company-wide training day to review policies — old and new — and introduce new landscape equipment and horticultural practices to all staff employees. When a landscaper begins to struggle financially, shortcuts start sneaking into the way things are done — and your property suffers. 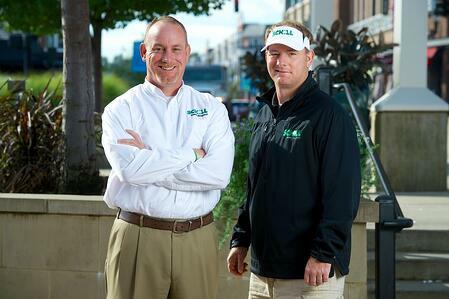 For a financially stable commercial landscaping company, it’s quite the opposite. Access to a higher quality labor pool, newer equipment, better materials — a contractor operating in the black will benefit from all of these (and so will you). When a landscape contractor bids to work on your property, they’re applying for a job. And with any job application, getting references is a vital part of the hiring process. Ask for references that are similar to your property type, then call and visit those references. In addition to visiting the current clients of the landscaper you’re considering, it’s also important to ask the references direct questions on reliability, conflicts, appearance, quality of work and communication. In the end, you should be impressed — with everything. When you ask the right questions from the start, you’re setting yourself up to get a contract free of surprises — and, eventually, to hire the best landscaper for the job. Here’s a short list of general questions to consider asking. Do you provide year-round grounds management care for commercial properties? What sustainability initiatives have you introduced into your commercial landscaping practices? Do you have workers compensation insurance, general liability insurance, bonded workers and appropriate state licensing — and can you prove it? Does your company enforce a drug-free policy and perform background checks? What standards have you set for the appearance of your fleet and crew members’ uniforms? Are your fleet and workforce easily identifiable on a job site? What kind of training do you offer your staff — and how often? What industry certifications do your employees pursue? Have you ever worked on a property type similar to mine? Is there a client I can contact directly to talk about your service? Do you guarantee the work your perform on a client’s property? Will I be assigned a single, dedicated client care specialist? Earlier in this hiring guide, you read how important it is for property owners and management teams to conduct an introductory, in-person meeting with a landscaper — before the bid. This bears repeating! Walking the property with a potential service provider gives you a chance to fully explain the needs of your site, ask and answer questions, get a feel for a contractor’s expertise and maybe start to build a rapport. This experience is invaluable. At Schill Grounds Management, we cannot emphasize enough the benefits of this onsite meeting (for both parties). From our perspective, seeing is believing, which is why we put a lot of weight into this part of the process. There will never be a one-size-fits-all approach to commercial landscape maintenance and design. The only way we can provide you services, suggestions and solutions unique to your property is by seeing it first hand. What do we expect in return? Your candor. It’s the only to begin a professional partnership and the best way to get what you want, how you want it, from the onset. We would also encourage you to visit our headquarters and branch offices. By visiting a potential commercial landscaping company on its turf, you will get a behind-the-scenes look at the organization — its facilities, support staff, its culture. Are you dealing with a professional that has the manpower, equipment and fleet to maintain your property? 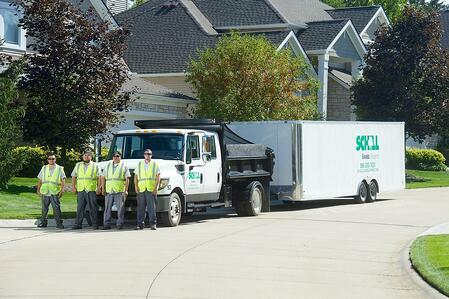 Schill Grounds Management is a four-season, full-service landscape contractor with proven results and satisfied commercial clients throughout Northeast Ohio. At Schill, we believe complete transparency is the only way to approach commercial landscaping bids. No fine print — what you see is what you get. 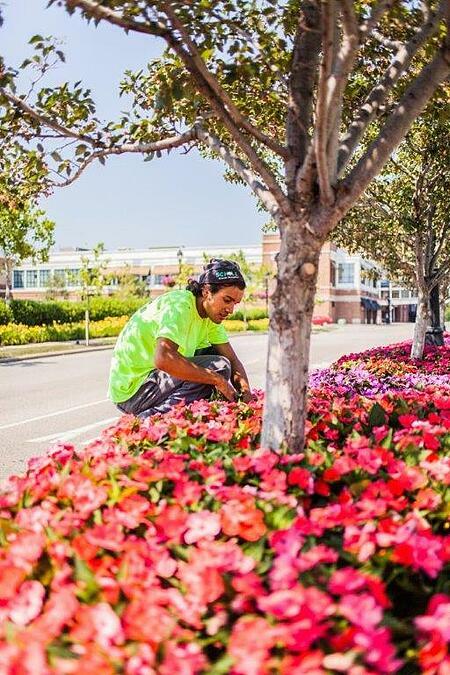 For more than 20 years, we have dedicated our entire organization to improving the look, feel and function of commercial landscapes throughout Northeast Ohio and have a diverse portfolio of happy clients to prove it. Isn’t it time you start building a business relationship with a landscaper you can trust and grow with? When it comes to our clients, we strive to create a sense of team because we’re in this together, working hard to achieve shared goals. We would love an opportunity to visit your property and talk about your goals, areas for improvement and steps required to make your landscape realize its true potential — and then some. Or, call us any time at (440) 327-3030.